SPECIAL DEAL - Usually 14.99, today just 9.97 - Save over £5! If you know Daphne odora Aureomarginata, you'll probably get a bit twitchy in January and February, as these plants stay stubbornly poised to bloom, just waiting for the weather to break a little. 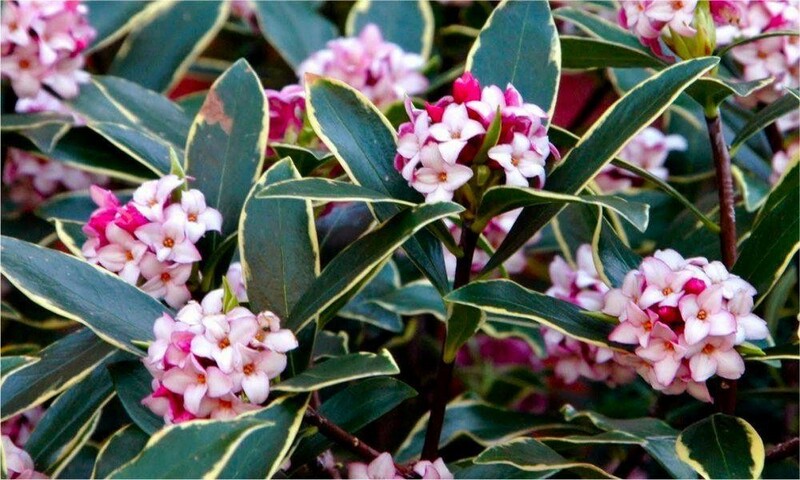 When the buds do burst you smell it before you notice it, for Daphne is one of the most fragrant plants in the garden at this time of the year. Sometimes they bloom as early as December, but it all depends if the weather is mild. The pink looking buds stay tantalisingly shut just waiting for the right moment to open and bloom, and when they do they really do symbolise that the days are getting longer and warmer, and that Spring time is getting closer. 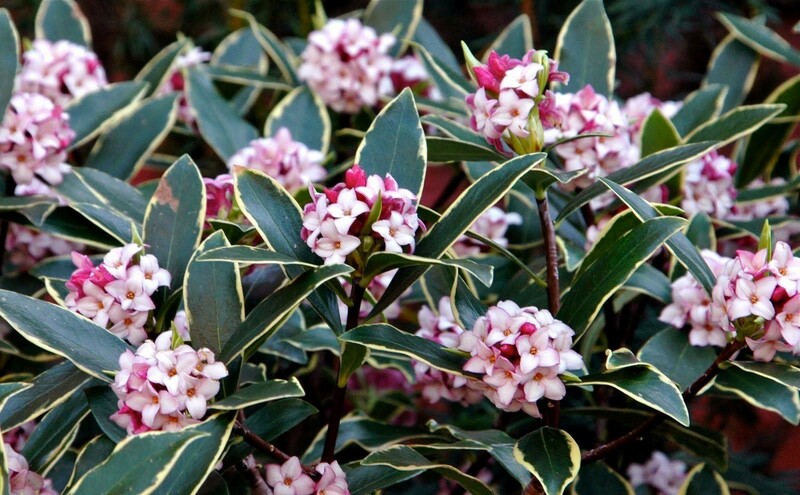 A hardy compact evergreen shrub, Daphne are notoriously difficult to propagate which does make new plants expensive, but they are well worth every penny. 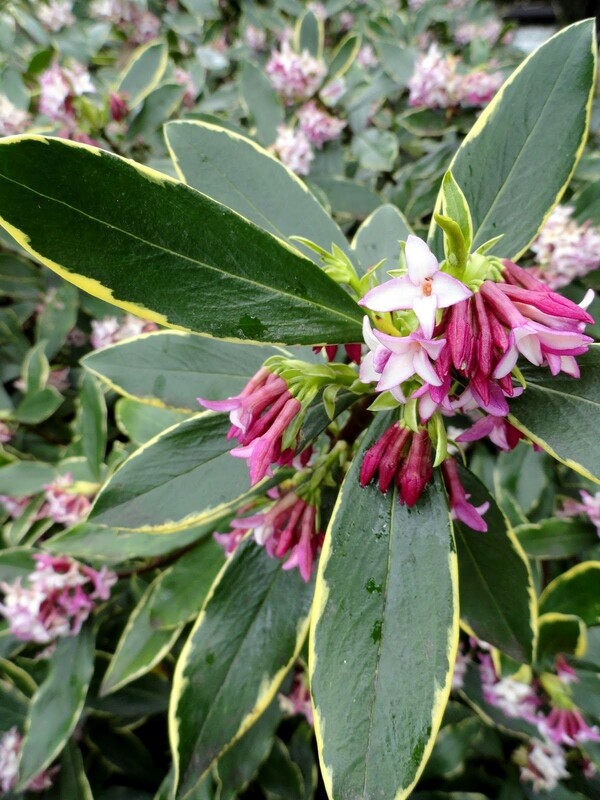 The handsome foliage is narrowly and irregularly edged in gold variegation, making it a good back ground plant when out of flower, but really this us one grown for the blooms and heady perfume. When it is fully established in your garden and in bloom, you probably will not be able to resist cutting off a few stems and bringing them indoors - the fragrance will become even more intense in the warmth.Just a couple of sprigs in a small jar or vase will fill a room with a sweet, heady, jasmine-like perfume. To appreciate the intoxicating scent in the garden these are best planted towards the front of a sunny, sheltered border close to an entrance or path, maybe in a bed or border near to the front or back door of your home. Perhaps position in a Patio Planter that you can move next to where you walk when it is in bloom to really appreciate its beauty and fragrance. Lovely bushy young plants, in season just budding up, supplied in approx 1.5-2 Litre containers. Available Whilst stocks last!! Don't waste any time ordering these - stocks are limited.